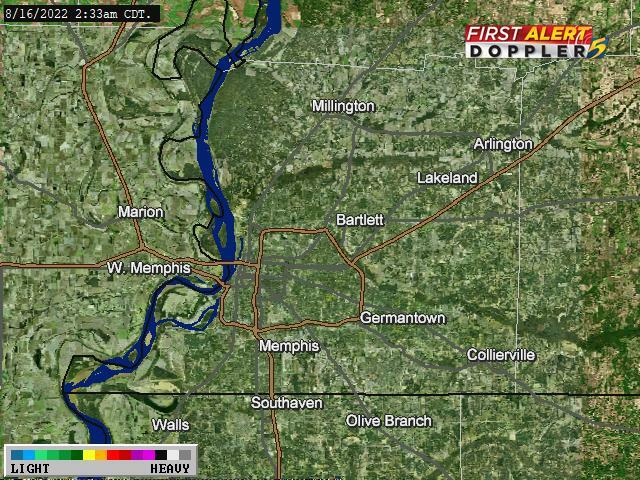 MEMPHIS, TN (WMC) - A cold front coupled with strong upper level energy will push across the Mid-South on Monday. This front and upper level dynamics will make the environment favorable for severe weather. 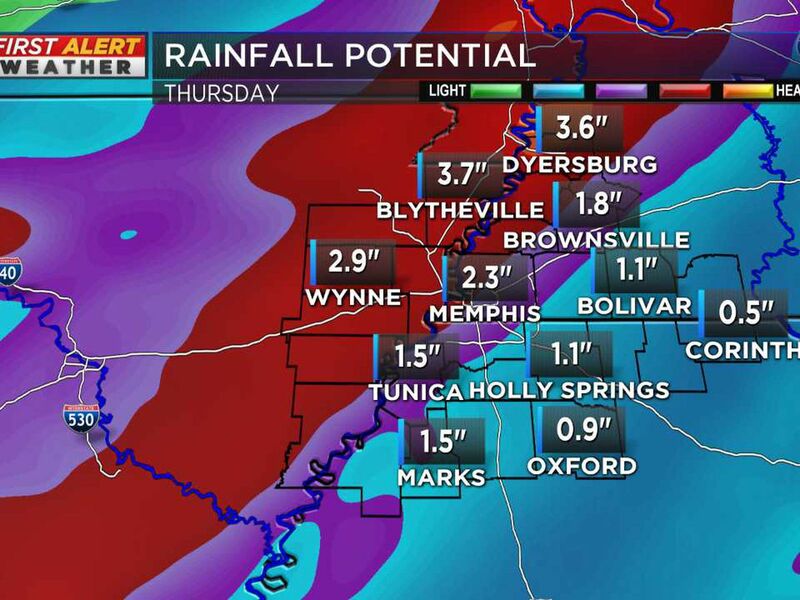 It will also bring rain back to the Mid-South for Sunday. 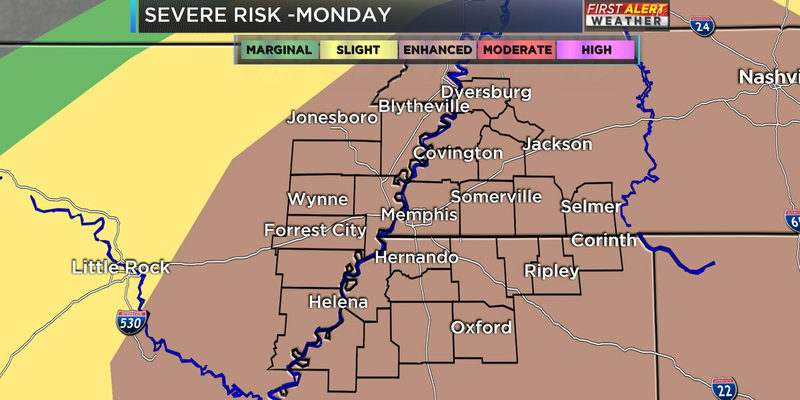 The Storm Prediction Center has placed all of the Mid-South under an enhanced severe weather risk for Monday evening through early Tuesday. 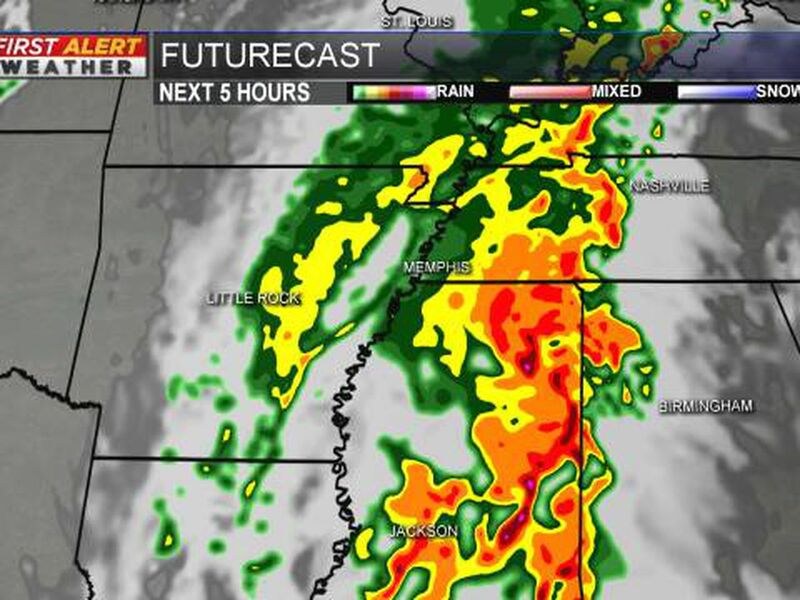 The biggest threats will be gusty wind, heavy rain, hail and tornadoes are possible too. The timing could still change and we will keep you up to date online and on air as the front gets closer and we get new data.